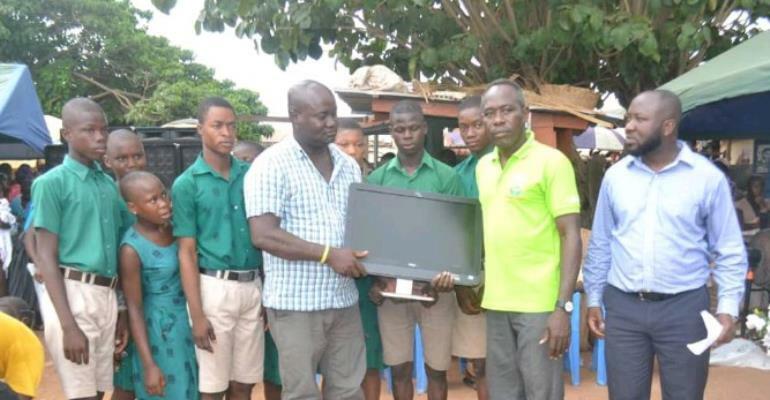 Health, Education, Livelihood, Agriculture and Climate (HELAC) Foundation a non-governmental organization (NGO), on Wednesday, donated over 160 computers to some government schools in the Afram Plains North District in the Eastern Region. The 23 schools in different communities that benefited from the benevolence of HELAC received both desktop and laptop computers to aid in the teaching and learning of Information Communication and Technology (ICT). According to the CEO of HELAC, Musah Adamu, the computers worth sixteen thousand Euros were also distributed to some 4 government institutions to help them adapt to modern technology for efficiency. He also noted, the gesture was to improve the knowledge of students, especially teachers posted to those areas on ICT through software known as ‘moodle', which was financed by Bax Brothers with support from St. Lucas Technical College of the Netherlands. Mr. Adamu said although the communities are known to be deprived areas in the region, the students and inhabitants deserved better in the era of ICT for the development of the district. Present at the short event to distribute the computers were some chiefs in the area, clergy, Muslim clerics and the District Chief Executive of the area.